These unseen pictures from Shahid Kapoor and Mira Rajput's wedding will make you go awww! Shahid Kapoor broke a lot of hearts when he decided to marry Delhi based Mira Rajput. All those girls who grew up watching Ishq Vishq Pyaar Vyaar or Jab We Met know how it felt to see our (ex)chocolate boy get married to someone else! 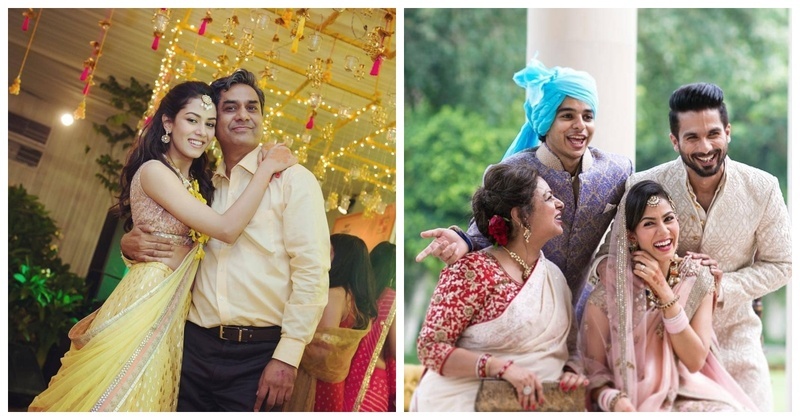 Just when we were getting on terms with this fact, Mira Rajput decided to take a trip down the memory lane and share a few pictures from their wedding. Excuse me while I sob and snort and tend to my broken heart! A few glimpse was enough for my heart to burn with jealousy! Its okay, girls, There are plenty of tissue boxes for your tears if not plenty of fishes in the sea!